The Alaya Resort Ubud Bus Stop in Ubud, which is sited on Jl. Hanoman Pengosekan, about 5 minutes walk from the Sacred Monkey Forest. The Bus Stop is located in Front Of Manisan Restaurant Lobby. The restaurant is located in the middle of rice fields where you have to walk thourgh the foopath that crosses the rice fields to reach the restaurant. With 105 luxurious rooms, Alaya Resort Ubud is a sanctuary of serenity and sophistication in the culturally charged village of Ubud in the island of Bali. 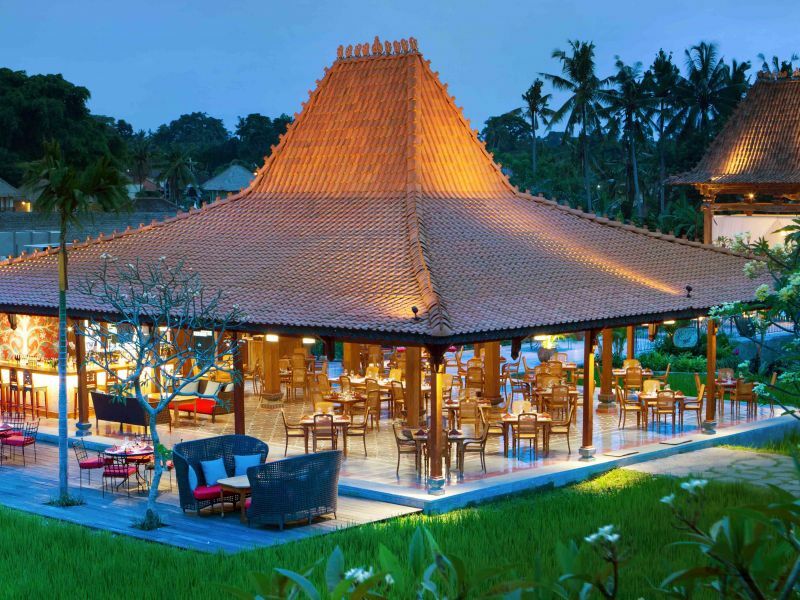 It has been built with rare sensitivity towards the surrounding environment and shares its rice terrace views with a number of the communities' local independent cafes and eateries, including the neighbouring Bebek Bengil restaurant and Monkey Forest. Rooms at Alaya Resort Ubud are all blessed with calming views of a productive rice terrace, which varies in colour between rich shades of green and gold with each passing season.